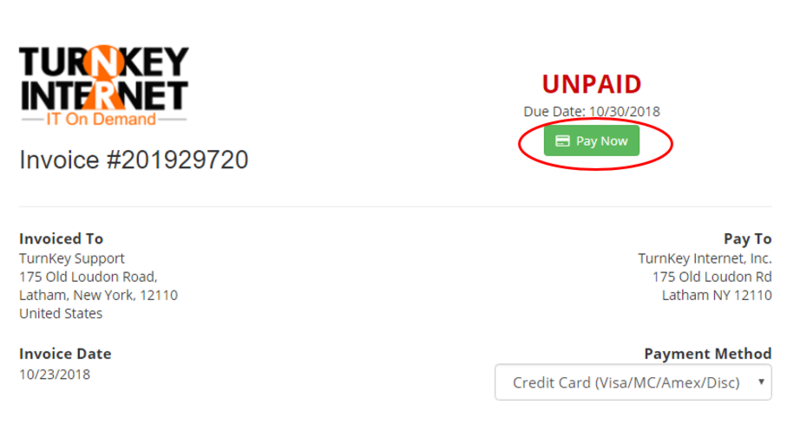 You can pay your invoice via Credit Card (Visa/Mastercard/Amex/Discover), PayPal, Mail in Payment or Moneybookers. 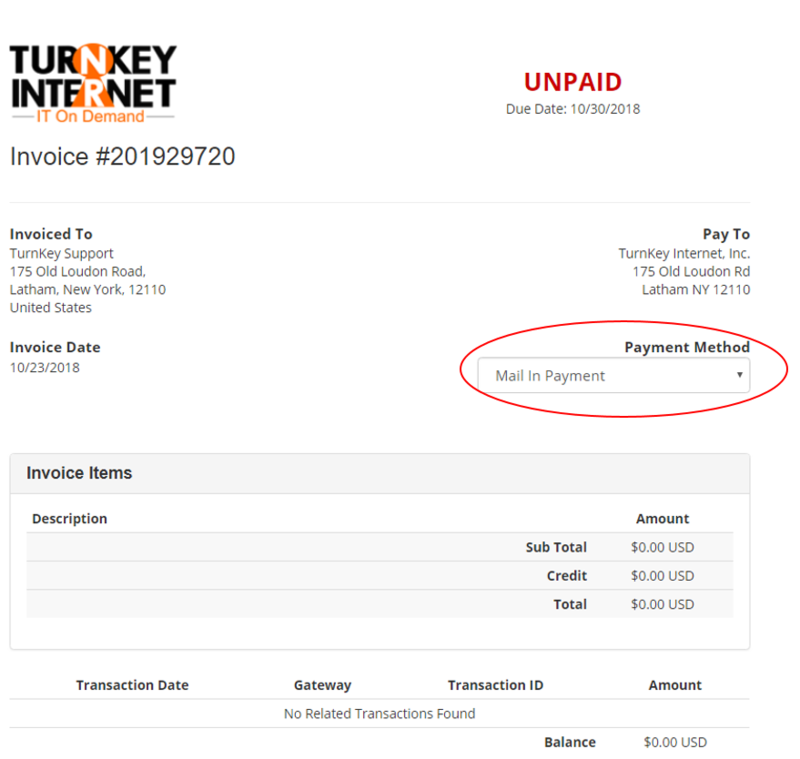 From the main client page, select ‘Invoices’. 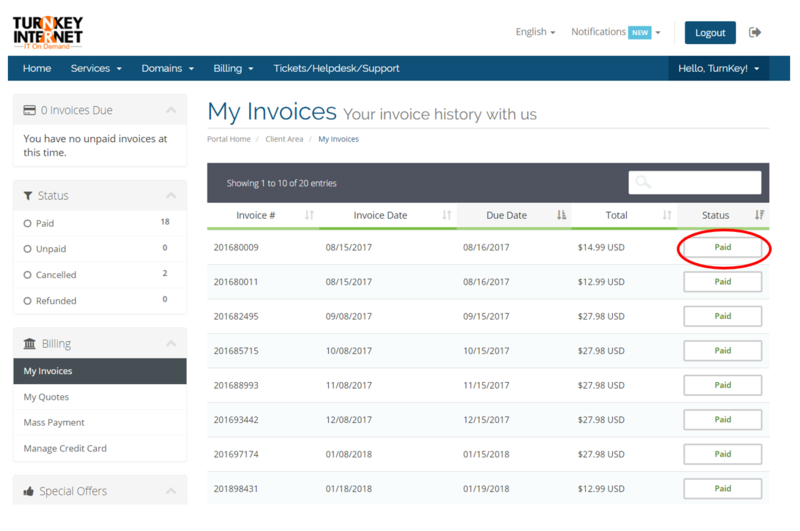 Click on the blue ‘View Invoice’ button next to the product/service you would like to pay the invoice for. 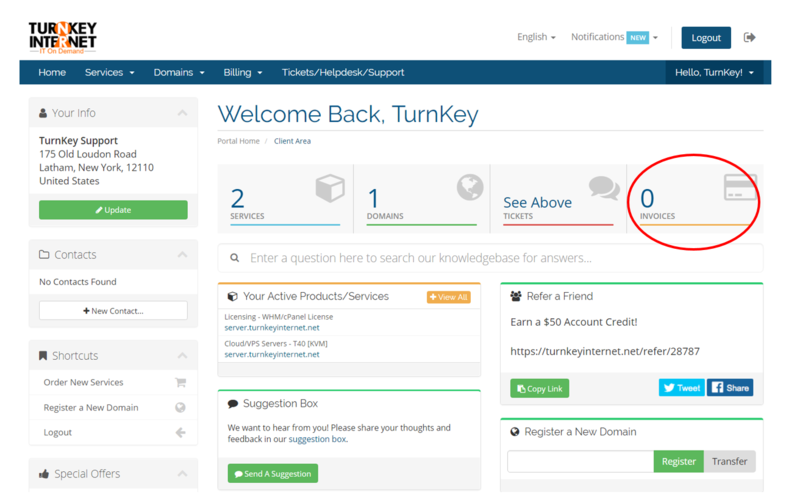 Select your preferred form of payment from the drop-down menu in the top right corner.